Esthetic Skin Institute Launches New Class "Sculptra Training Course"
Esthetic Skin Institute is pleased to announce they will be the only Continuing Education Provider to offer a Sculptra Certification! Prerequisite Criteria: This course is geared toward experienced dermal filling agent injectors that have had uninterrupted injecting experience spanning 6 months to a full year. 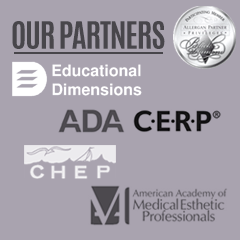 Target Audience: This course has been designed to meet the educational needs of clinicians (physicians, NP’s, PA’s, LPN’s, dentists, and RN’s) with substantial injecting experience of Dermal Filers in the care of patients seeking advanced aesthetic enhancement procedures. Sculptra Aesthetic helps replace the collagen that we naturally lose as we age. When that happens, we begin to see facial wrinkles and folds, lower facial volume, and skin sag. Sculptra Aesthetic uses bio-stimulation on your collagen to erase all manner of folds and wrinkles. This will work toward creating a youthful and lively appearance. Usually, a patient needs 3 injection sessions from specifically trained professionals that take place over 8-12 weeks in order to start seeing results. These results begin as subtle alterations and can last over 2 years. Through Sculptra Aesthetic, those lines and wrinkles can be smoothed out and facial volume can be restored, reversing the aging process of aging. The Sculptra workshop is a one-day, hands-on experience. It provides an educational approach to history, biodegradation, biological and chemical properties, facial aging along with anatomy and physiology, appropriate anatomic selection and cosmetic treatment indications. In the presentation, you will learn about complications management and avoidance, contraindications, and side effects. You will learn during the training to smooth out sunken cheeks, wrinkles, cheek and chin lines, scars, and deep folds such as nasolabial and marionette. Because ESI has such a low ratio from student to instructor, you can expect an intense one-on-one experience with our instructors that is hands-on and tailored to you.